Our host, Steve Coughran from the Coltivar Group, offers some interesting insight into what you’ll get from this incredible FREE 3-part webinar series! In this collaboration between DynaSCAPE Software and the Coltivar Group, we will unpack some timely and very relevant topics through this completely free webinar series. Landscape industry consultant and financial expert, Steve Coughran, and Joe Salemi, DynaSCAPE’s Product Marketing Manager will bring some of the most pertinent business information to you. It’s our way of bringing you the best in landscape business information. STRATEGIC FINANCIAL LEADERSHIP WEBINAR SERIES is approved for Landscape Industry Certified recertification at 1 CEU per hour of instruction attended. 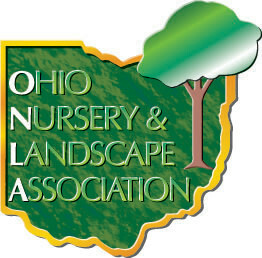 For more information on the National Association of Landscape Professionals recertification, please visit the NALP Recertification Center at landscapeprofessionals.org. What you need to know to thrive! The landscape industry is struggling with labor shortages, rising costs, increased competition, and changing customer preferences. However, companies are trying to solve new problems with old strategies. Learn how selecting a strong strategy and incorporating the right technology can improve productivity, employee retention, cash flow, and overall customer experience. 70 percent of companies that go bankrupt are profitable when they close their doors. Surprised?? This is due to the fact that companies neglect key financial principles such as forecasting, pricing, cash flow management, and financial statement analysis. In this webinar, we will discuss the 4 levers that help boost profitability, cash flow management, building a financial dashboard, and the 3 financial statements you must review. The landscape industry can be wildly unpredictable and cyclical in nature. This webinar will discuss methods for evaluating the economic market, customer preferences, and cash flow requirements for off-season operations. We will also examine how companies can improve their competitive advantage through a more lean, agile operating model commingled with the right technology. Steve Coughran is Founder and Director of Strategy at the Coltivar Group, a keynote speaker for national associations and universities, and author of Delivering Value. In his position at Coltivar Group, Steve helps clients on a broad range of issues including strategy, organizational structure, financial management, and operational effectiveness. At the University of Denver, Steve teaches a course entitled “Strategic Financial Leadership” which combines his research and real world consulting experience to create an effective learning environment for students. As an entrepreneur, Steve has launched award-winning firms in the construction industry. He remains active in the community and has served on the Associate Council of the AGC, State Board of Directors for the green industry, as an active member of CAMPC, and as a leader in Impact Denver. He applies his industry experience and financial acumen gained from working with million and billion dollar firms at Ernst & Young to help companies capitalize on their strengths and create superior value by performing activities in a unique way. Steve is a CPA and earned his M.B.A. from the Fuqua School of Business at Duke University where he studied abroad in China, Chile, India, and Germany. Steve graduated with his M.S. in accountancy from the University of Denver. He advanced his specialization in strategy through study at the Executive Education Program at the Tuck School of Business at Dartmouth College. Don't miss this transformative, FREE webinar series! Brought to you by DynaSCAPE Software! Register even if you can’t join us live, we’re recording each of the webinars in the series. Once the webinar is over we’ll be posting the recording to the DynaSCAPE website and will send you the link so you can check it out at a time that works for you.